A noose found hanging from a tree at Duke University in North Carolina on Wednesday has prompted an investigation, school officials said in a statement. WINSTON-SALEM, N.C. — A noose found hanging from a tree at Duke University in North Carolina on Wednesday has prompted an investigation, school officials said in a statement. “To whomever committed this hateful and stupid act, I just want to say that if your intent was to create fear, it will have the opposite effect,” Larry Moneta, Duke’s vice president for student affairs, wrote in an email to students. 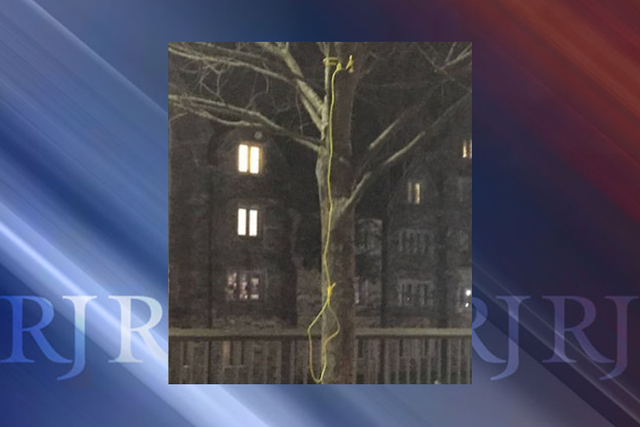 The university encouraged anyone with information about the noose to call campus police and said a forum with university and student leaders would be held on Wednesday evening to discuss the incident. Last week, U.S. prosecutors said a former University of Mississippi student had been indicted on civil rights charges accusing him of draping a noose and a Confederate flag around the neck of a statue of that school’s first black student.